If you often find yourself wide awake in the wee hours, you’re not alone. Nearly two-thirds of American adults experience regular sleep disruptions. But insomnia need not be a life sentence. An overnight stay at the Sleep Lab could pinpoint what ails you. Many disorders can be diagnosed with overnight sleep study, or polysomnograms, according to Tutse Tonwe, MD, Director of the Family Health of Delaware Sleep Medicine Diagnostic Suite. Doctors can simultaneously record a patient’s brainwaves, muscle activity, heart rhythms, belly and chest wall effort, air flow to the nose and mouth, snoring patterns, blood oxygen levels and nerve impulses to the eye. These factors can help identify the onset of REM (rapid eye movement), dream states and possible impediments to sound sleep. Sleep is vital to our health and well being but for many people a good night’s sleep does not leave them feeling rested and refreshed. It is estimated that there are over 80 known sleep disorders and that 85% of these people go undiagnosed and untreated. There are many symptoms of sleep disorders including excessive daytime sleepiness, high blood pressure, type 2 diabetes and obesity. Sleep disorders include Obstructive Sleep Apnea (OSA), Narcolepsy, Restless Leg Syndrome and Periodic Limb Movement Disorder. At Family Health of Delaware Sleep Medicine Diagnostic Suite we diagnose and treat all of these and many more. Let us help determine the best diagnostic and treatment options for you. 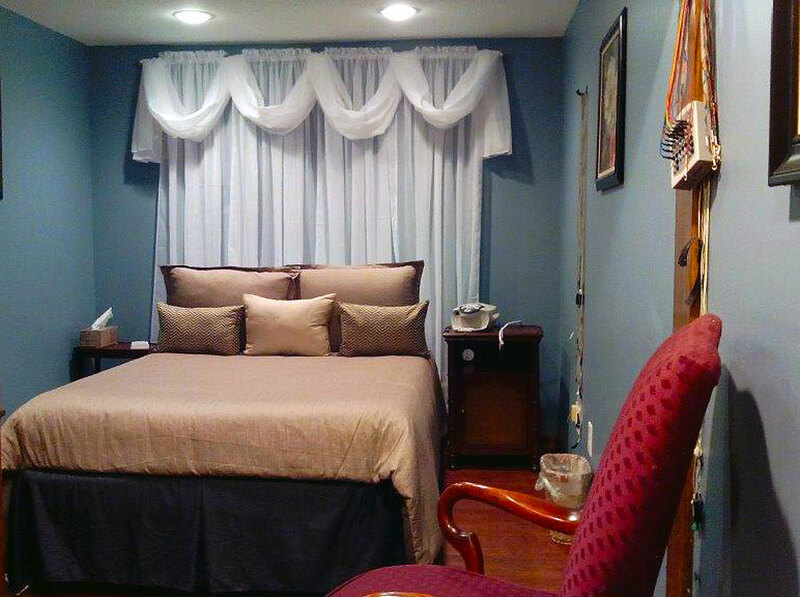 Our sleep suites, located in Dover, DE, provides sleep studies for the evaluation of sleep apnea & other disorders.